2017 (Wednesday) , please check the relevant information regularly. We selection will guide the user has given us GM. In the case of Turkey, the BCU application server by Jenny Yu forces to extend the offer period. ※ Once the submission is completed, that period may be terminated early. 2. if GM tried just as user activity? Please refer to the guide information. We celebrated Valentine's Day and arranged this Valentine's Day event. The search item is automatically paid during the event period, and 30 hours of Class C SP Recovery Kit are paid for 1 hour access. Three! Armor Event of the Month! 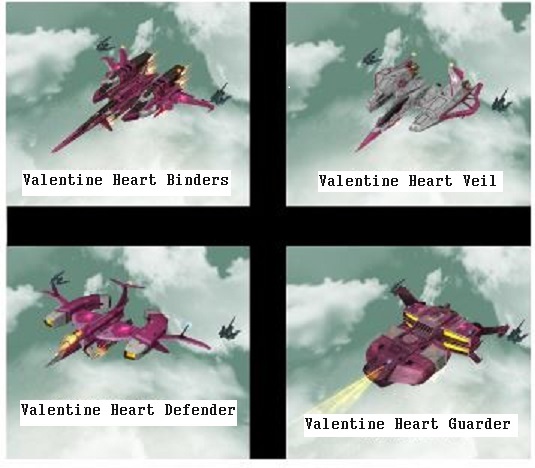 The effect of this month is applied to the Valentine armor during the event. We will do our utmost to become the best ACE Online.